Some of you came searching for "Inbound Marketing". 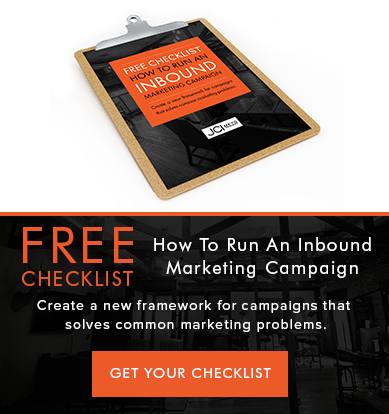 Others of you have no idea what Inbound Marketing is, but are totally curious at this point. In a nutshell, Inbound Marketing is an all-in-one marketing solution that strategically places the content your potential customers are looking for in the place they are looking for it. It's like you shoving off in your fishing boat and once you get to your favorite spot, all the fish just start jumping into the boat. Sounds easy enough, right? Well anyone who has been in marketing for any length of time could tell you it's hard as heck to get the right customers to find you! Inbound Marketing is a game-changer. We help create amazing content offers that meet the needs of your customers. You gently invite them into a relationship with you, thus you build trust and show them you have exactly what they need in a non-invasive way. Through amazing content, social media channels, blogs and a platform that gives you the data and analytics you need to make good business decisions, JCI & Inbound Marketing will take your business to the top. We help you take someone from being a stranger to a promoter...who Then introduces new strangers to you! Inbound Marketing offers a multi-channel approach utilizing social media, blogs, landing pages and content offers on your website. Through this approach, you will put content where your potential customers already are and answer the questions your customers are already asking. Great SEO will help to keep your content on the top of search results so that your content will be seen. Hubspot is hands down, the best inbound marketing engine on the market. JCI is the ONLY company in Redding that is trained and authorized to offer Hubspot to our clients. Hubspot is an all-in-one, streamlined platform that allows you to to track every move a potential customer makes after they have expressed an interest in your company. You can track the location of people visiting your site, which helps you make sure the right customer sees the right content through contextual marketing. We use this information to strategize, execute, and manage your marketing campaigns...always with the goal of growing your bottom line! At JCI, we provide a personalized approach to marketing your business. Our team has a variety of unique skillsets that they bring to the table for every client. We have strategists, designers, managers, consultants, message masters, developers, detail hounds, business owners...the list goes on and on. Using strategic thinking and market research, we will make sure your unique business is marketed to the right people the right way. Your success is our success. Ready to chat with our team about what it would take to really grow your business?